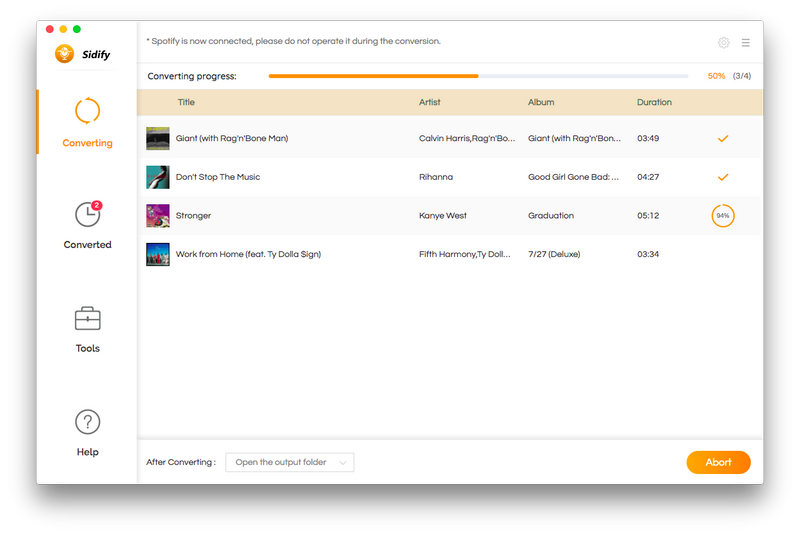 Sidify Music Converter for Spotify is the fastest Spotify Music Converter on Mac which can convert Spotify songs, playlists or podcasts with 5X faster speed than other DRM removal programs do. Furthermore, It converts Spotify audio to MP3, AAC, WAV or FLAC format with ID3 tags kept after recording. 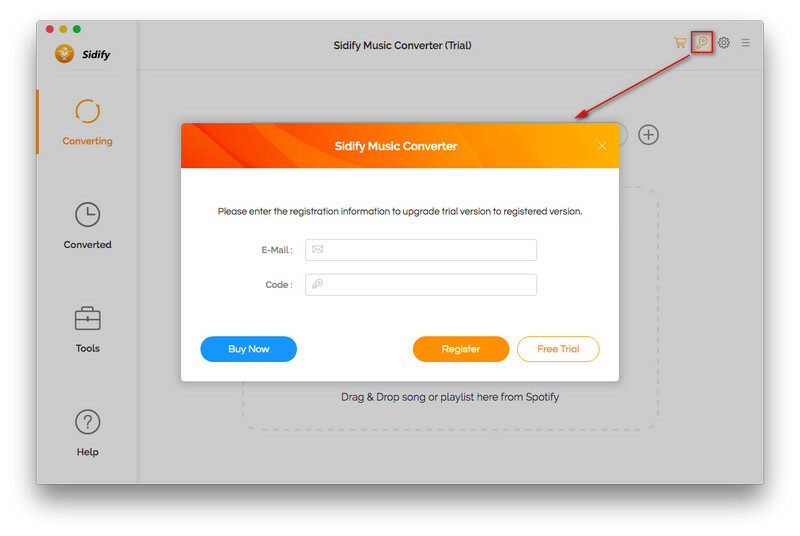 Please follow the step by step tutorial below to learn how to use Sidify Music Converter quickly. Sidify allows you downloading the program to have a try before buying. But the free trial version can only convert the first 3 minutes of each audio. To unlock the time limitation, you need to register the program. Step 1 Click menu bar and click Sidify Music Converter. Choose Registration in the drop-down list, you will get the register window below. Or directly click the red word "Unregistered" to open the registration window. Step 2 Copy and paste the Email address and product key into the registration popup dialog. 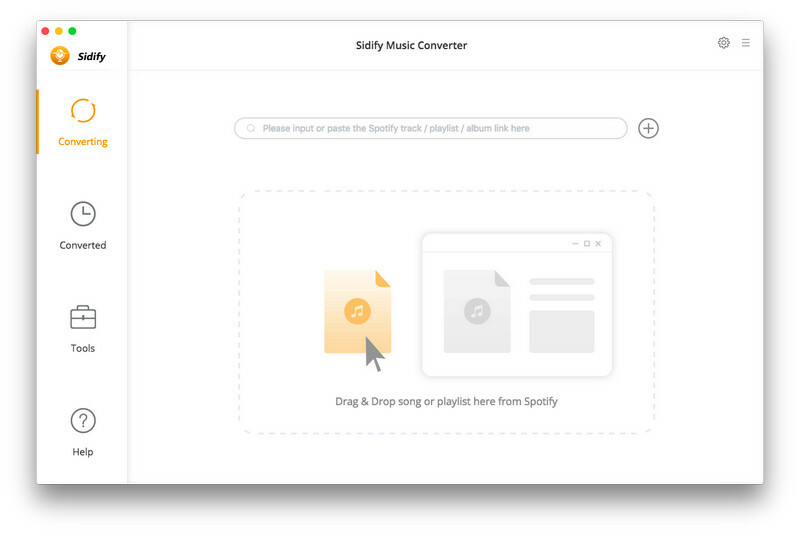 Step1 Launch Sidify Music Converter for Mac. The interface is quite simple and user-friendly. The Spotify application will open automatically at the same time. Step2 Click button or click center of Sidify, then you will see a pop-up window which indicates you to drag and drop the songs, playlist or podcast here. 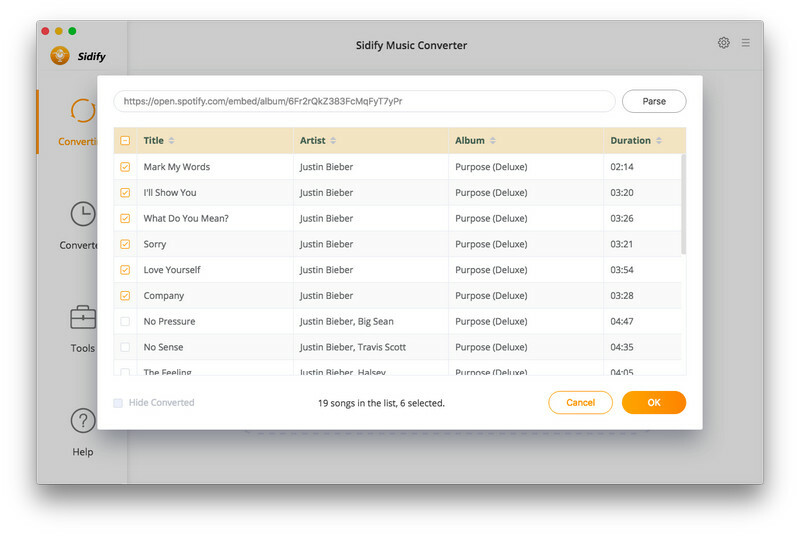 Open Spotify application, check the songs or playlist you would like to convert, then drag them to Sidify add window. If you don't want to convert a certain song, please click remove button to remove this music from Sidify main panel. 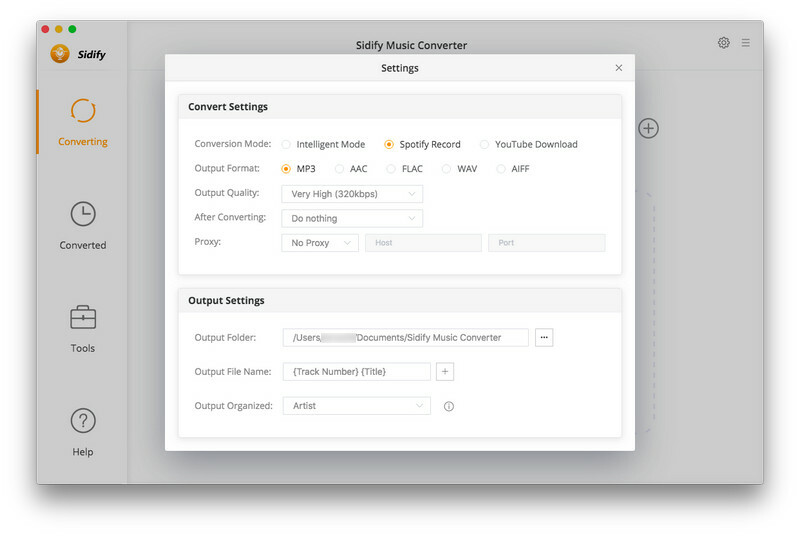 Step 3 Click the menu bar "Sidify Music Converter > Preferences" or directly click button on the program interface to open the Preferences window. It contains Convert settings and output settings. In Convert settings, you can choose output format (MP3, AAC, FLAC or WAV), output quality (High 320kbps, medium 256kbps, low 128kbps) and convert speed (5x, 4x, 3x, 2x, 1x). In the output settings, you could change the output folder as you prefer. Step 4 When finish customization, click "CONVERT" button to start convertion. After conversion, you can click button to find the converted audio files.